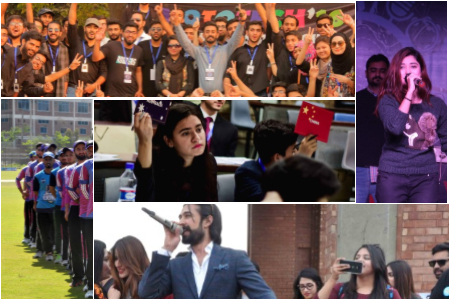 COMSATS Lahore Cricket, Basketball, Hockey, Football, Volleyball, Table Tennis and Badminton teams participated in the “LUMS Annual Sports Nationals ’18”. COMSATS Lahore Basketball team participated in the”7th FCC Inter-Varsity Basketball Championship 2018” organized by Forman Christian College Lahore. COMSATS Lahore Football team participated in the “10th Dr. Charles W. Forman Inter-Varsity Football Championship 2018” organized by Forman Christian College Lahore. COMSATS Lahore cricket team participated in the BNU Inter University T20 Cricket Championship 2018 organized by Beaconhouse National University Sports Department (BNUSD). The final match was played between BNU Lahore and COMSATS Lahore cricket teams. BNU Lahore cricket team won the final match. COMSATS Lahore campus organized COMSATS football league at COMSATS football ground. All department teams from CUI Lahore campus participated in this league. A friendly football match was played at CUI Lahore football ground on April 10, 2018 between COMSATS Lahore football team and Johar Town Club. COMSATS Lahore won the match by 2-1 goals. COMSATS Lahore Campus organized COMSATS Football league at COMSATS Football ground. 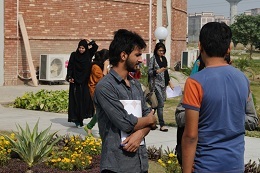 All departmental teams from CUI Lahore campus participated in this league. A prize distribution ceremony of all sports events was organized in cricket ground on April 04, 2018. Director CUI Lahore was the chief guest of the ceremony. Mr. Muhammad Irfan (A world famous Pakistani cricket team Fast Bowler) will be the guests of honor of the ceremony and distributed prizes among students and faculty. 200m Race Male, 100m Race Male & Female Students, Staff Grade 100m Race, Sack Race Male Students, Faculty & Officers 80m Race, Faculty & Staff children race Boys & Girls U-6, U-12, U-16. Ball Race Female Students all these events were organized just before the closing ceremony. A cricket match was played between Senior Faculty and Senior Administration cricket teams on April 01, 2018. Senior Administration cricket team won the match. Inter- Departmental Badminton Faculty (Doubles) competition was organized on April 01, 2018. The final match was played between IRCBM and Physics. IRCBM won the final match. Inter- Departmental Badminton Faculty (Singles) competition was organized on April 01, 2018. The final match was played between Physics and Electrical Engineering. Electrical Engineering won the final match. Inter- Departmental Badminton Girls competition was organized on April 01, 2018. The final match was played between Anam Bakhsh and Saira Zulfiqar. Dr. Saira Zulfiqar won the final match by 2-1 sets. Inter- Departmental Badminton (Boys) competition was organized on April 01, 2018. The final match was played between Chemical Engineering and Management Science. Management Science won the final match by 2-0 sets. Inter- Departmental Basketball competition was organized on April 01, 2018. The final match was played between Electrical Engineering and Chemical Engineering. Electrical Engineering won the final match by 26-15 points. Inter- Departmental Football competition was organized on April 03, 2018. The final match was played between Electrical Engineering and Management Sciences. Management Sciences won the final match by 2-1 goals. Inter- Departmental faculty Cricket competition was organized on April 02-04, 2018. The final match was played between Chemical Engineering and IRCBM. IRCBM won the final match. Inter- Departmental Faculty Table Tennis competition was organized on April 01, 2018. The final match was played between ITS and Electrical Engineering. Electrical Engineering team won the final match. Inter- Departmental Table Tennis competition was organized on April 02, 2018. The final match was played between Management Sciences and Chemical Engineering. Chemical Engineering won the final match by 2-1 sets. Inter- Departmental Chess competition was organized on April 02, 2018. The final match was played between Computer Science and Chemical Engineering. Computer Science won the final match. Inter- Departmental Volleyball competition was organized on April 02, 2018. The final match was played between Architecture and Electrical Engineering. Electrical Engineering won the final match by 2-0 sets. Inter- Departmental Cricket competition was organized on April 01, 2018. The final match was played between Physics and Chemical Engineering. Physics won the final match. Inter- Departmental Hockey competition was organized on March 31, 2018. The final match was played between Chemical Engineering and Computer sciences. Computer sciences won the final match by 3-2 goals. Inter-Campus Cricket Championship was organized at CUI Lahore Cricket ground on 30 March to 01 April 2018. In the 1st Semi- final Attock campus beat Islamabad campus. In the 2nd Semi- final Abbottabad campus beat Lahore campus. In the final match Attock Campus beat Abbottabad campus. Muhammad Mubeen student of Attock campus declared the best player of the tournament. The opening ceremony of “Student Week Spring 2018” is scheduled to be held on Friday 30 March 2018 in COMSATS cricket ground at 11:00 AM worthy Director CUI Lahore Prof. Dr. Qaiser Abbas will grace the occasion as chief guest. Student, faculty and staff presence dignify the occasion. An inter-campus cricket match between COMSATS Attock team and COMSATS Vehari cricket team played after the opening ceremony. COMSATS Attock cricket team won the match. CUI combined Mountaineering team participated in the HEC Intervarsity Mountaineering championship 2017-18 held at Islamic International University, Islamabad. CUI combined volleyball team participated in the HEC Intervarsity volleyball zonal-c championship 2017-18 held at University of Engineering & Technology (U.E.T) Taxila. CUI combined hockey team participated in the HEC Intervarsity hockey zonal-c championship 2017-18 held at HITEC University, Taxila. A friendly cricket match was played at COMSATS Lahore cricket ground on February 23, 2018 between COMSATS Lahore and Sadia Foundation Cricket Team. COMSATS Lahore won the match by 8 wickets. CUI combined football team participated in the HEC Intervarsity football final round championship 2017-18 held at Peshawar University, Peshawar. CUI combined Basketball team participated in the HEC Intervarsity Zonal-C Basketball championship 2017-18 held at Bahria University, Islamabad. CUI combined Badminton team participated in the HEC Intervarsity Zonal-C Badminton championship 2017-18 held at Bahria University, Islamabad. In the pre-quarter final match CUI beat National University of Computer and Emerging Sciences, Islamabad by 3-0 sets. In the quarter final match CUI beat University of Engineering and Technology, Taxila by 3-2 sets. In the semi final match National University of Sciences and Technology, Islamabad beat CUI by 3-0 sets. CUI combined Cricket team participated in the HEC Intervarsity Zonal-C Cricket championship 2017-18 held at National University of Computer and Emerging Sciences, Islamabad. In the quarter final match CUI beat National University of Sciences and Technology, Islamabad) by 7 wickets. In the semi final match Quaid-e-azam University Islamabad beat CUI by 95 runs. CUI combined table tennis team participated in the HEC Intervarsity table tennis Zonal Championship 2017-18 held at University of Engineering and Technology, Taxila. In the pre-quarter final match CUI beat Quaid-e-azam University QAU Islamabad. In the quarter-final match CUI beat National University of Sciences and Technology (NUST) Islamabad. In the semi final match CUI beat University of Engineering and Technology, Taxila. CUI combined team of table tennis qualify for the final round where top 18 teams of Pakistan Universities are going to participate. By the grace of Almighty Allah, COMSATS Lahore organized a successful event of Super 8 Flood Light Tape Ball Cricket Tournament”, on 04 January 2018. Six teams of Showbiz stars participated in the competition. Worthy Director CUI Lahore Prof. Dr. Qaiser Abbas was the chief guest of the ceremony. Many showbiz stars like Naseem Vicky television, Akram Rahi, Joji Ali Khan, Akram and Rashid Mehmood were the guest of the ceremony and participated as players in different teams. CUI combined Table Tennis team participated in the All Pakistan HEC Intervarsity Table Tennis Championship 2017-18 at University of Engineering and Technology, Taxila on January 01-04, 2018. CUI combined table tennis team participated in the All Pakistan HEC Intervarsity (Final) table tennis Championship 2016-17 held at Shah Abdul Latif University, Khairpur on February 12-15, 2017. CUI combined Basketball team participated in the All Pakistan HEC Intervarsity (Zonal -C) Basketball Championship 2016-17 held at Bahira University, Islamabad on February 13-16, 2017. CUI Lahore football team participated in the spring sports festival on February 12-15, 2017 organized by Lahore School of Economics Lahore. In the quarter- final match Lahore School of Economics beat CUI Lahore by 2-0 goals. CUI combined boxing team participated in the All Pakistan HEC Intervarsity boxing Championship2016-17 held at Karachi on February 22-26, 2017. CUI combined Hockey team participated in the All Pakistan HEC Intervarsity Hockey (zonal - c) Championship held at at Bahria University, Islamabad on March 07-10, 2017. CUI combined Kabaddi team participated in the All Pakistan HEC Intervarsity Kabaddi (zonal - c) Championship held at Government College University, Faisalabad on March 06-09, 2017. CUI combined Mountaineering team participated in the All Pakistan HEC Intervarsity Mountaineering Championship 2016-17 at Quaid-e-Azam University, Islamabad on March 15-17, 2017. CUI combined Football Zonal-C team participated in the All Pakistan HEC Intervarsity Football Zonal-C Championship 2016-17 at COMSATS Islamabad on March 17-21, 2017. CUI combined Table Tennis team participated in the HEC Intervarsity (Zonal-C) Table Tennis championship 2016-17 held at University of Engineering and Technology, Taxila. In the pre-quarter final match CUI beat IST (Institute Of Space Technology, Islamabad) by 4-1 games. In the quarter final match CUI beat AJK (Azad Jammu Kashmir) University, Muzaffarabad by 3-2 games. In the semi final match CUI beat PMAS-Arid Agriculture University Rawalpindi by 3-0 games. Whereas final match was played between CUI and IIU (Islamic International University) Islamabad. After an exciting competition CUI won the match by 3-2 games. Beaconhouse National University Sports Department (BNUSD) organized BNU T20 Cricket Championship 2017 starting from 25th March 2017. In the quarter final match CUI Lahore beat Forman Christian College, Lahore by 32 runs. Beaconhouse National University Sports Department (BNUSD) organized BNU Football Rumble 2017 being held at BNU from 28th March to 3rd April 2017. 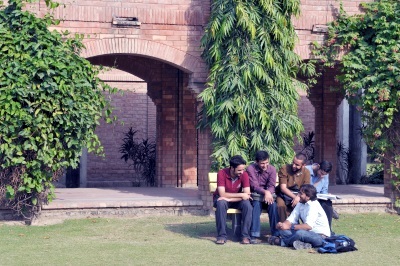 In the quarter final match CUI Lahore beat University of Management and Technology, Lahore. In the semi final match CUI Lahore beat FAST University. In the final match CUI Lahore beat Beaconhouse National University. Jang Media Group organized “Lahore Football League 2017” at Phase 1, DHA Lahore. Tournament is scheduled on 07th April 2017 and will conclude till 12th April 2017. In the quarter final match CUI Lahore beat Lahore Garrison University. In the semi final match University of Management and Technology, Lahore beat CUI Lahore. Caltex, Pakistan organized “Cricket Extravaganza 2017”. Tournament is scheduled on April 03rd -12th 2017 at Aleem Dar Academy Ground in Lahore. In the quarter final match CUI Lahore beat Lahore University of Management and Sciences (LUMS). In the semi final match Punjab University, Lahore beat CUI Lahore. Lahore School of Economics organized Hockey championship 2017 being held at Lahore School of Economics from April 12-17, 2017. In the quarter final match CUI Lahore beat Lahore School of Economics. In the semi final match Lahore University of Management and Sciences (LUMS) beat CUI Lahore. The opening ceremony of “Student Week Spring 2017” is scheduled to be held on Friday 7th April, 2017 in COMSATS cricket ground at 10:00 AM Worthy Director CUI Lahore Prof. Dr. Qaiser Abbas will grace the occasion as chief guest. Mr. Aleem Dar (A world famous Pakistani cricket umpire and the member of ICC Elite umpire panel) and Pakistan National Women cricket team will be the guests of honor of the ceremony. A friendly cricket match between Pakistan National Women cricket team and Bareeze Cricket team played after the Opening Ceremony. Bareeze Cricket Team won the match. Inter-Campus Cricket Championship was organized at CUI Islamabad Cricket ground on 07th -10th April 2017. In the Semi- Final Lahore campus beat Abbottabad campus. In the Final Match Lahore Campus beat Sahiwal campus. Inter- Departmental Football competition was organized on 8th April, 2017. The final match was played between Computer sciences and Electrical Engineering. Electrical Engineering won the final match by 1-0 goals. Inter- Departmental Tug of war (Boys) competition was organized on 8th April, 2017. The final match was played between Architecture and Chemical Engineering. Architecture won the final match. Inter- Departmental Cricket competition was organized on 8th April, 2017. The final match was played between Chemical Engineering and Physics. Chemical Engineering won the final match by 15 runs. Inter- Departmental Hockey competition was organized on 9th April, 2017. The final match was played between Electrical Engineering and Computer sciences. Computer sciences won the final match by 2-1 goals. Inter- Departmental faculty Cricket competition was organized on 10th April, 2017. The final match was played between Chemical Engineering and IRCBM. IRCBM won the final match. Inter- Departmental volleyball competition was organized on 10th April, 2017. The final match was played between Physics and Electrical Engineering. Electrical Engineering won the final match by 2-1 sets. Inter- Departmental Chess competition was organized on 10th April, 2017. The final match was played between Computer sciences and Electrical Engineering. Computer sciences won the final match. Inter- Departmental Table Tennis competition was organized on 10th April, 2017. The final match was played between Electrical Engineering and Chemical Engineering. Electrical Engineering won the final match by 2-1 sets. Inter- Departmental Faculty Table Tennis competition was organized on 10th April, 2017.The final match was played between ITS and Sports Section. Sports Section team won the final match. Inter-Campus Football Championship was organized at CUI Lahore Football ground during student week on 10th -12th April, 2017. In the semi-final Lahore campus beat Sahiwal campus by 5-0 goals. In the final match Islamabad campus beat Lahore campus by 3-0 goals. Hamza Khalid student of Lahore campus declared the best player of the tournament. Inter- Departmental Basketball competition was organized on 11th April, 2017. The final match was played between Computer sciences and Electrical Engineering. Computer sciences won the final match by 26-20 points. Inter- Departmental Badminton (Boys) competition was organized on 11th April, 2017. The final match was played between Physics and Management Science. Physics won the final match by 2-1 sets. Inter- Departmental Badminton Girls competition was organized on 11th April, 2017. The final match was played between Sobia Malik Management Science and Aanum Management Science. Sobia Malik Management Science won the final match by 2-0 sets. Inter- Departmental Badminton Faculty competition was organized on 11th April, 2017. The final match was played between IRCBM and Electrical Engineering. Electrical Engineering won the final match. Inter- Departmental Tug of war (Girls) competition was organized on 12th April, 2017. The final match was played between COMSATS female students team A and COMSATS female students team B. COMSATS female students team A won the final match. 200m Race Male, 100m Race Male & Female Students, Staff Grade 100m Race, Sack Race Female & Male Students, Faculty & Officers 80m Race, Faculty & Staff children race Boys & Girls U-6, U-12, U-16. Three leg race Male & Female Students and Ball Race Female Students all these events were organized just before the closing ceremony. A cricket match was played between senior faculty and Senior Administration cricket teams on 12th April, 2017. The runs were leveled. A Tug of war match was played between senior faculty and Senior Administration Tug of war teams on 12th April, 2017. Senior Administration team won the match. A prize distribution ceremony of all sports events was organized in Cricket ground on 12th April, 2017. 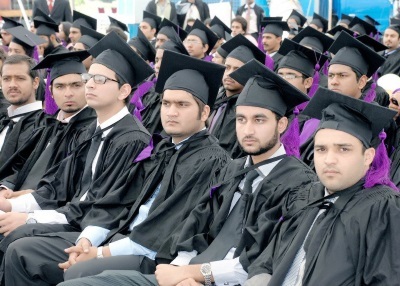 Director CUI Lahore was the chief guest of the ceremony and distributed prizes among students and faculty. The Lahore University of Management Sciences and SLUMS, is hosting the “LUMS Hockey Tri-series 2017” from April 21 – 30, 2017. The tournament played at LUMS outdoor Hockey field. In the quarter final match CUI beat FAST by 2-1 goal. In the Simi final match Lahore University of Management Sciences beat CUI Lahore by 2-1 goal. The Sports Department of Forman Christian College (A Chartered University) Lahore is hosting “9th Charles W. Forman Inter-Varsity Football Championship 2017”from 25th April 2017 In the quarter final match Forman Christian College beat CUI Lahore by 1-0 goal. To increase the charm of the cricket, Sports Section at COMSATS Lahore campus is going to organize Flood Light Tape Ball Cricket Tournament scheduled to be held from 10-19 May, 2017 at COMSATS Lahore Cricket Ground. 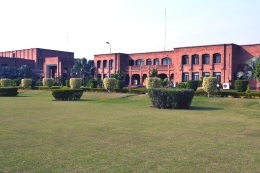 Around 64 Teams of this campus will be participated in the Tournament. By the grace of Almighty Allah, COMSATS Sports Section organized a successful event of “1st Flood Light Tape Ball Cricket Tournament”, in which 50 teams participated. This tournament lasts for 10 days, 49 matches were played by the teams in which pool matches was played. Quarter finals held between two faculties and six students’ teams. Semi-final was played between faculty of Management Sciences vs Black Pearl and the Epic Zalmi vs Tiger Super 8. Final match won by Tiger super 8 against Black Pearl by 17 runs. After the competition a prize distribution ceremony “1st Flood Light Tape Ball Cricket Tournament” was organized at CUI Lahore cricket ground on May 19, 2017. Mr. Rasheed Ahmad Khan Additional Registrar CUI Lahore and Dr. Ghulam Rasool Associate Professor Department of Computer Science was the chief guest of the ceremony and distributed prizes among players. CUI combined Chess team (Lahore and Islamabad) participated in the HEC Intervarsity Chess competitions organized by University of Veterinary and Animal Sciences, Lahore (UVAS) on May 22-25, 2017. 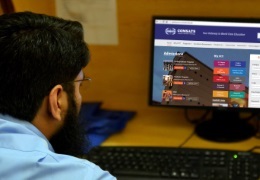 1st match COMSATS vs. International Islamic University Islamabad (IIUI), 2nd Match COMSATS vs. Arid Agriculture University Rawalpindi, 3rd Match COMSATS vs. Islamia University of Bahawalpur (IUB) and 4th match COMSATS vs. University of Veterinary and Animal Sciences, Lahore (UVAS). COMSATS Lahore Campus organized COMSATS Football league at COMSATS Football ground. All department teams from CUI Lahore campus participated in this league. In the final round supper 11 Football Club & Real shine 1-1, Dortmund Football Club & pearl 4-0, Friends & Pak zalmi 1-0 and Lahori Boys & Manchester United 6-1. The opening ceremony of “Student Week Fall 2017” is scheduled to be held on Friday 3rd November, 2017 in COMSATS cricket ground at 10:00 AM Worthy Director CUI Lahore Prof. Dr. Qaiser Abbas will grace the occasion as chief guest. Mr. Muhammad Amir (A world famous Pakistani cricket team Fast Bowler) will be the guests of honor of the ceremony. Student, Faculty and Staff presence dignify the occasion. An Inter-Campus cricket match between COMSATS Lahore team and COMSATS Vehari Cricket Team played after the Opening Ceremony. COMSATS Lahore Cricket Team won the match. Inter-Campus Cricket Championship was organized at CUI Lahore Cricket ground on 3rd -5th November 2017. In the Semi- Final Lahore campus beat Sahiwal campus. In the Final Match Attock Campus beat Lahore campus. Muhammad Mubeen of Attock Campus and M. Ali Goraya student of Lahore campus declared the best player of the tournament. Inter- Departmental Football competition was organized on 4th November, 2017. The final match was played between Computer sciences and Management Sciences. Management Sciences won the final match by 1-0 goals. Inter- Departmental Cricket competition was organized on 5th November, 2017. The final match was played between Computer sciences and Management Sciences. Management Sciences won the final match. Inter- Departmental Hockey competition was organized on 5th November, 2017. The final match was played between Electrical Engineering and Computer sciences. Computer sciences won the final match by 5-2 goals. Inter- Departmental faculty Cricket competition was organized on 6th -8th November, 2017. The final match was played between Electrical Engineering and Works Department. Works won the final match. Inter- Departmental volleyball competition was organized on 6th November, 2017. The final match was played between Chemical Engineering and Electrical Engineering. Chemical Engineering won the final match by 2-0 sets. Inter- Departmental Chess competition was organized on 6th November, 2017. The final match was played between Computer science and Chemical Engineering. Chemical Engineering won the final match. Inter- Departmental Table Tennis competition was organized on 6th November, 2017. The final match was played between Management Sciences and Chemical Engineering. Management Sciences won the final match by 2-1 sets. Inter- Departmental Faculty Table Tennis competition was organized on 6th November, 2017.The final match was played between ITS and Management Sciences. Management Sciences team won the final match. Inter- Departmental Basketball competition was organized on 7th November, 2017. The final match was played between Computer sciences and Chemical Engineering. Computer sciences won the final match by 26-22 points. Inter- Departmental Badminton (Boys) competition was organized on 7th November, 2017. The final match was played between Chemical Engineering and Management Science. Management Science won the final match by 2-1 sets. Inter- Departmental Badminton Girls competition was organized on 7th November, 2017. The final match was played between Dr Shabana Nisar Physics and Sheharbano. Dr. Shabana Nisar won the final match by 2-0 sets. Inter- Departmental Badminton Faculty competition was organized on 7th November, 2017. The final match was played between IRCBM and Electrical Engineering. IRCBM won the final match. Inter- Departmental Tug of war (Girls) competition was organized on 8th November, 2017. The final match was played between COMSATS female students team A and COMSATS female students team B. COMSATS female students team B won the final match. 200m Race Male, 100m Race Male & Female Students, Staff Grade 100m Race, Sack Race Female & Male Students, Faculty & Officers 80m Race, Faculty & Staff children race Boys & Girls U-6, U-12, U-16. Ball Race Female Students all these events were organized just before the closing ceremony. A cricket match was played between senior faculty and Senior Administration cricket teams on 8th November, 2017. Senior Administration cricket team won the match. A prize distribution ceremony of all sports events was organized in Cricket ground on 8th November, 2017. Director CUI Lahore was the chief guest of the ceremony and distributed prizes among students and faculty.